Ministry is much needed in the body of Christ and should not be neglected. We are a Ministry that emphasizes deliverance and how to live a holy life – A life approved by God,that closes doors to the entry of demons. We believe in the Present Day Ministry of the Holy Spirit including baptism of the Holy Spirit, Healing, Miracles and Restoration and also believe that all the gifts of the Holy Spirit are available and operational in the body of Christ. Here we Praise, Preach, and Prophesy to the glory of Almighty God. Here we believe so much in the power of the Almighty God and the supernatural movement of the Holy Spirit. We also believe that there is no problem without a solution. We speak the mind of God concerning humanity and nations with absolute manifestation, we speak before it happens.It is also a place of His glory, testimony and celebration, many lives have been transformed. By His Grace, General Yomie Johnson, the former Liberian warlord was transformed and ordained here as an Evangelist. In addition, many homes that experienced severe disruptions due to demonic activities has been cleansed and restored. 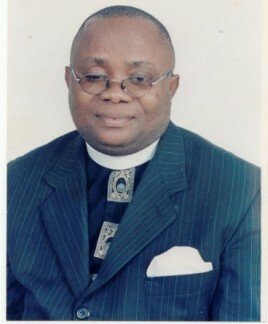 Prophet Ekong Ituen is the founder and spiritual leader of Christ Deliverance Ministries – CDM. A charismatic preacher with a prophetic anointing whose divine mandate is to liberate the afflicted from all oppressions of the devil and to restore hope to the hopeless. He is one of the major prophets in Nigeria who speaks the mind of God without minding whose ox is gored, and whose prophecies have shaken the high and the mighty in Nigeria. He is a native of Ikot Nkan in Onna Local Government Area of Akwa Ibom State, Nigeria – West Africa and was born on August 19th, 1968. He studied Christian Education and Political Science respectively. He is married with two children. Prophet Ituen was born into The Apostolic Church but was mentored by Apostle John Okoriko of Solid Rock Kingdom Church and Pastor Jeremiah Ntuen of Prayer Group Mission. The church was officially inaugurated on August 15, 1995 with Lagos as its National Headquarters. He later had an encounter with Pastor E.E Okon of blessed memory (The President of The Apostolic Church), who imparted and blessed him greatly. His Ministry came to Limelight when he predicted the fall-out between General Sani Abacha and his Deputy General Oladipo Diya and further predicted that Abacha’s transition programme would collapse. The prophecy did not go down well with the government of Abacha, hence the arrest and detention of the servant of God but was later vindicated. He has made several prophecies that came to pass including but not limited to the death of former President Dr. Nnamdi Azikiwe. He predicted in 1995 that Dr. Nnamdi Azikiwe will die before the middle of 1996 and it came to pass. Most of these prophecies can be verified from the national dailies. Prophet Ituen’s Ministry has become a place of succour for people from all walks of life, where the afflicted, oppressed and those desiring to know of God’s plan concerning their lives throng in daily to meet with the servant of God. To him, his life is a living testimony that Jesus Christ is Real and all that God has done and is still doing in his life and ministry is a privileged and an extension of God’s Grace and Mercy for which he is sincerely grateful.